Believe it or not, the qualities of your bed linens can mean the difference between nightly tossing and turning due to heat and sleeping peacefully, cool as a cucumber. Sheets can be breathable, absorbent, or have properties of both, along with new technologies that keep you comfortable. Breathable sheets are made from natural or synthetic man-made materials that prevent perspiration and help your skin breathe at night. Some breathable fibers, like cotton, bamboo, linen and microfiber, also absorb moisture away from your body keeping you cool. Cotton sheets are a commonly found sheet that will keep you cool at night. It's a natural fiber that is breathable, cool and luxurious if you select the right one. Quality considerations - The best option is a matter of preference, but reviews from Real Simple and Sleepopolis both note that 100% Egyptian cotton is the best quality with pima (brand name Supima) cotton close behind. They have extra-long or long staple fibers, making your sheets soft and breathable. These sheets range from $60 to $400 online at Hayneedle, Overstock, Macy's, or by brand name such as Casper. Thread count - Consider sheets with a thread count between 150 to 400. Anything higher than that and the manufacturer will have to manipulate the fabric or thread with synthetic material according to Ariel Kaye, the founder and CEO of Parachute, a California-based bedding company, in a piece by TODAY. This manipulation adds other fibers or chemicals that are not breathable. Percale sheets are a flat weave creating a crisp and durable fabric that is finely textured, which keeps the sheet breathable and cool at night. If you like scratchy, crisp sheets than this is the weave for you. Health recommends L.L. Bean's 280-Thread-Count Pima Cotton Percale sheets that run $60 to $70 for just the sheets. 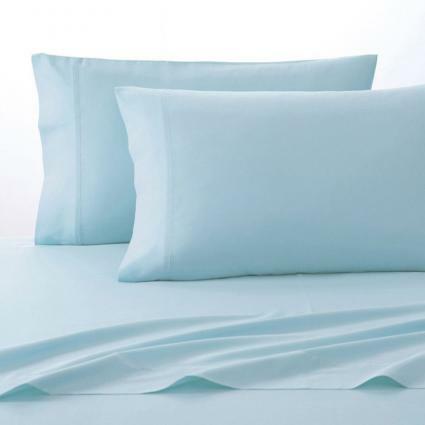 Jersey sheets use a loose weave that creates a breathable sheet according to Sleepopolis. It's more affordable, soft, and comparable to a T-shirt. These sheets range from $15 to $300, depending on individual items or set, and can be found at Kohl's or Target. Next to cotton, Tencel sheets are probably what you're looking for in a cool, breathable natural fiber sheet. Tencel is a lyocell fiber that is produced by an Austrian company called Lenzing Fibers. "Its natural absorbency and breathability ensure that those who wear Tencel clothing and use Tencel bedding are comfortable, regardless of the climate," observes Sleep Sherpa. Tencel sheets can be purchased at Bed Bath & Beyond or Pottery Barn ranging from $60 to $200 depending on the exact items selected. Microfiber is synthetic blend of polyester. But according to PerfectLinens.com it's an inexpensive alternative to finding cool, comfortable sheets compared to most natural fibers. 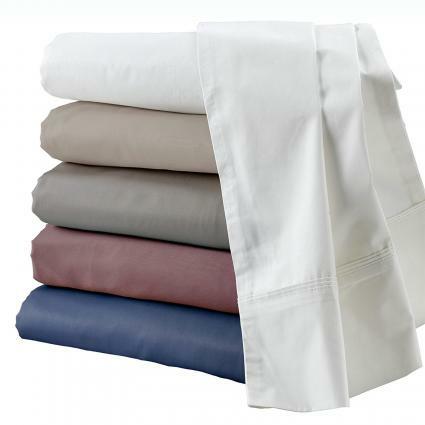 Microfiber sheets are breathable but they also wick moisture and do not wrinkle like cotton. As the website states, the disadvantage is the clingy, stretchy feel, which makes some people feel like the sheet is "hugging" them causing a claustrophobic feeling. 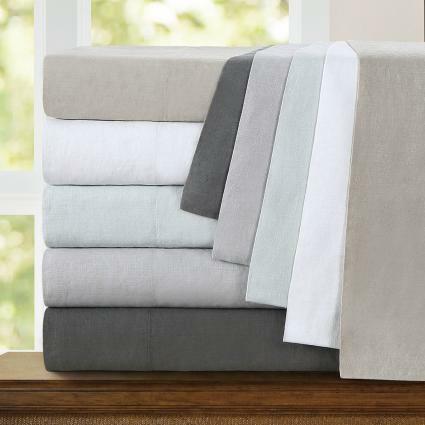 Microfiber sheets cost between $15 to $50, depending on the set selected, and found at most large department store retailers, such as JCPenney or Target. Linen is a natural flax that has a hallow core that makes it a breathable fabric. The Huffington Post recommends linen sheets for their "natural cooling effect". The issue with linen, is the coarse texture, which isn't comfortable to most consumers. The best linen sheets for softness and keeping cool, according to a review by The Sweethome, are West Elm's Belgian Flax Linen Sheets that cost between $40 - $260. If you like the texture and casual, lived-in appearance of linen consider using a high-end brand of 100% linen from Linoto that cost from $200 to $300 or more affordable options at Overstock.com that cost $50 to $300. Bamboo sheets provide circulation, adapt well to extreme warm temperatures, are soft, and provide more absorbancy than cotton according to a review on Ezvid Wiki's list of the Top 10 Bed Sheets of 2017. Absorbancy and breathability are also mentioned by The Money Pit. A set of bamboo sheets made by Royal Hotel Bedding is number 8 and DreamFit Degree 5 is number 4 on the list from Ezvid Wiki. Other bamboo sheets range from $180 to $300 a set and can be purchased from retailers like Luxury Bamboo Bedding or Aloha Soft. A blend of cotton and bamboo is a great option for "hot sleepers in all temperatures" writes Health; they recommend Royal Bedding's Silky Soft Bamboo Cotton Sheet Set that runs about $80. Some brands and types of cooling sheets claim to use technologically advanced fibers that absorb sweat and heat. Unlike natural fibers that absorb a small percentage of heat and sweat, these sheets are guaranteed by the manufacturer to provide higher levels of absorption. These technologies range in price and have some benefits and warnings to consider. 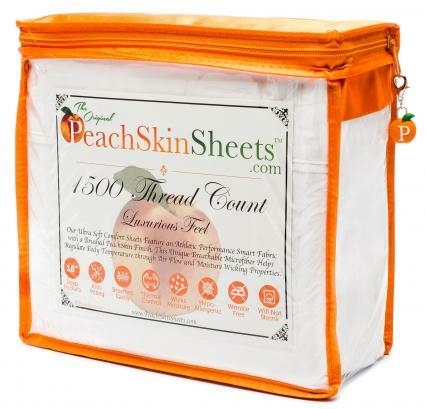 Some consumers, according to PerfectLinens.com, had mixed experiences with these sheets. Nanotex uses nanotechnology to transform the molecular structure of fibers creating superior fabrics with properties such as odor resistance, fabric breathability and moisture resistance. Nanotex Coolest Comfort sheets have an advanced moisture-wicking system that helps to regulate your body temperature. 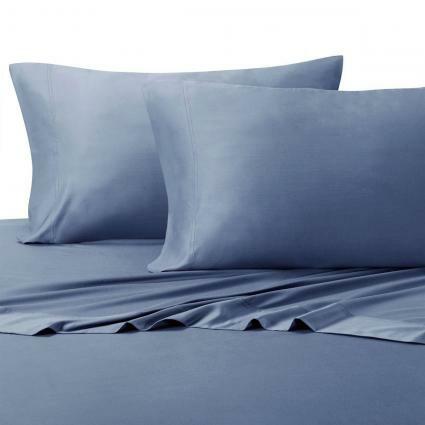 According to Bites Reviews and Queen of Reviews these sheets are soft, wrinkle-free, and truly keep you cool at night. 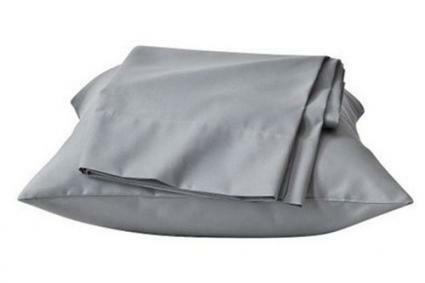 Nanotex sheets (available in standard sizes) range in price from $10 for a pillowcase to $170 for a comforter set and can be purchased from several retailers including Walmart and Cabela's. Outlast bedding utilizes technology that will "absorb, store, and release heat for optimal thermal comfort" throughout the night. The technology works not by wicking or absorption but rather by preventing the formation of sweat/moisture. The sheets do keep you cool but some consumers complained on Amazon that the sheets do not fit the bed correctly and start to wear down, rip at the seams. You can buy Outlast bedding (available in standard sizes) from many online retailers such as The Comfort Outlet and Amazon. Prices range from $40 for a pillowcase to over $430 for a California king bedding set. PeachSkinSheets use a "breathable, high performance athletic grade SMART fabric" that will wick away moisture and keep you cool at night. 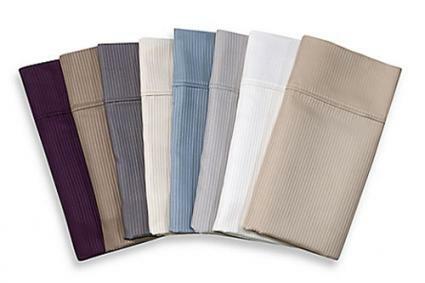 Besides keeping you cool at night, they're anti-microbial, wrinkle free, will not shrink, are anti-pilling, and soft. They offer their sheets in different colors as well as send you a free swatch to find the perfect color for your bedroom. Powered By Mom and Southern Hospitality provide lists of reasons to use them, which includes their comfort, softness, and ability to keep you cool at night. These sheets range from $80 to $130 a set and can be purchased on their website. Besides cooling sheets, invest in natural-fiber mattress covers, comforters, and pillows to add to your overall comfort. Most of these high-tech fabric companies also make duvets, all-season comforters, mattress covers, and cooling memory foam pillows as well. The combination of all these elements will help keep you, your bed, and your pillows cool at night giving you a good night's rest.